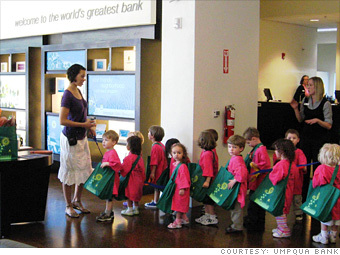 Children visit the bank for a field trip. Chain with a small-town feel has ballooned in the past 15 years from six branches and $150 million in assets to 154 "stores" (in Oregon, California, and Washington) and $9 billion in assets. 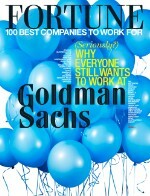 Is Umpqua Bank a great employer, or what?